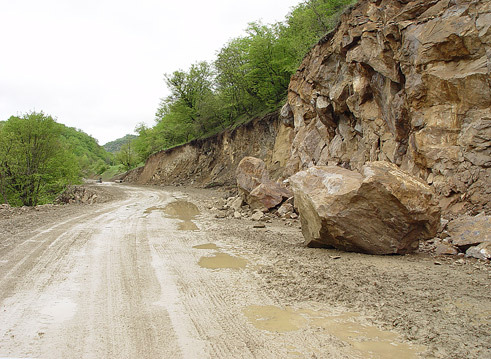 The North-South Highway is designed to span the entire length of Nagorno Karabakh, linking over 100 towns and villages from Mardakert to Hadrout via the capital of Stepanakert. 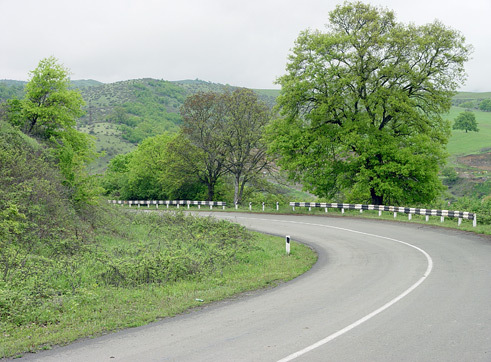 The North-South Highway, referred to as “The Backbone of Karabakh,” unites the entire Nagorno-Karabakh region through solid infrastructure facilitating economic, political and cultural development. 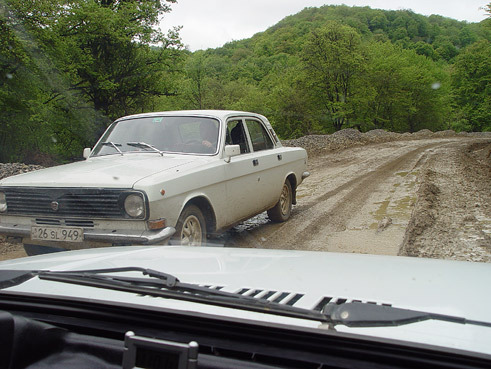 During Soviet times, roads zigzagged in and out of Karabakh leaving the region economically vulnerable and isolated from neighbors. The completed Highway will allow merchants to bring goods to market, give schoolchildren the means to attend classes in neighboring villages, provide a transport channel for services and necessities and help promote tourism. 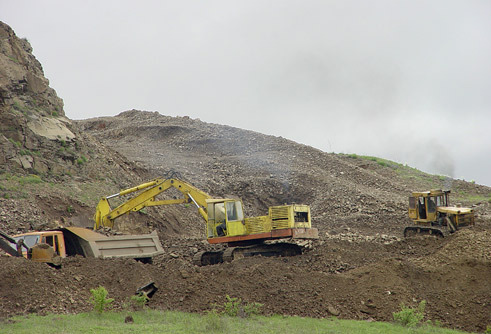 The construction of the Highway, a five-year multimillion dollar project that is an important guarantee for economic activity in the region, is one of Armenia Fund USA’s most ambitious infrastructure initiatives and serves as a complement to the existing Goris-Stepanakert Highway, completed in 1999. 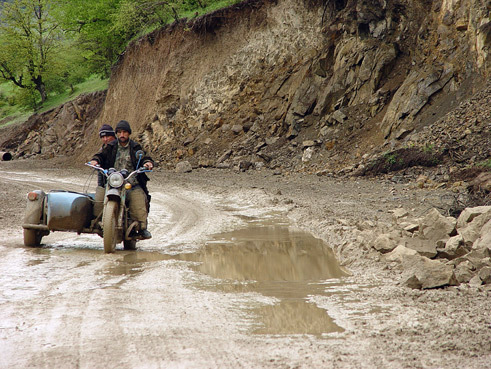 The North-South Highway winds its way through mountainous Karabakh linking over 150 cities and towns in the region. It is a landmark project that stands for economic development. Today, the road is vital to improving not only general accessibility to the region, but also making economic revitalization possible. 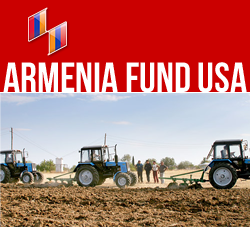 Over the last several years, Armenia Fund USA has challenged its donors and supporters to contribute to the completion of the North South Highway. 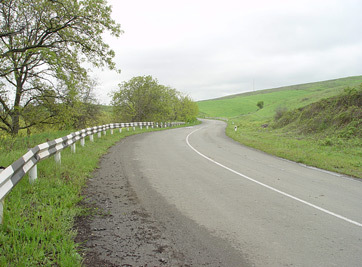 Several Telethons – major fundraising events traditionally aired by the Western Region affiliate of the Fund and through the participation of all Armenian Diaspora, have been devote to the construction of this highway. The North-South Highway spans 105 miles and costs an estimated $25 million. To date, only 16 miles, out of the 84 miles already built/under construction, remains to be completed. One meter (about 3.4 feet) of highway costs approximately $150 to build. 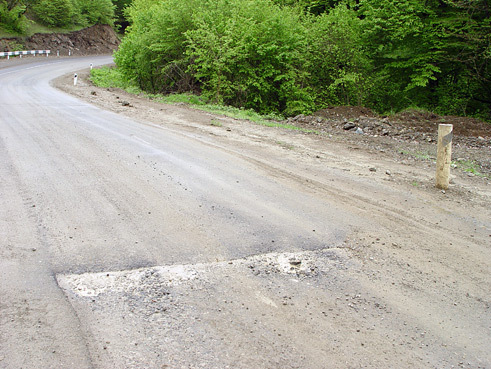 The construction of 8.7-kilometer Sarushen-Karmir Shuka section of the road started in January of 2005 and is due to be completed in October of 2006. This was the heaviest part of the remaining construction works. 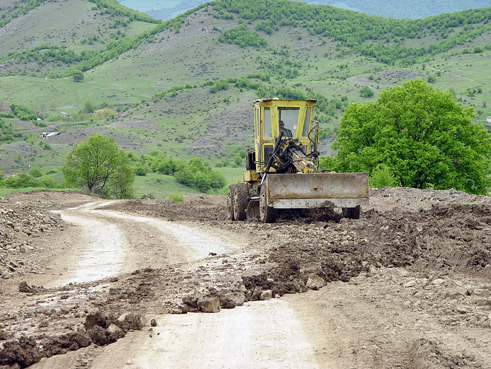 Another section of the road under construction is Drmbon-Stepanakert. A completed section of the highway includes the 5,2-kilometer Kichan-Drmbon road. Highway completion is scheduled for 2006. As with all Armenia Fund projects, the North-South Highway is being constructed with uncompromised quality and at the lowest cost possible. The Fund ensures its pledge to financial accountability and transparency by exercising open bidding and monitoring both funds and construction on the ground. Today, anyone traveling to Karabakh from Armenia or elsewhere can not help but value the new level of activity and easiness of movement of people and goods in the region. 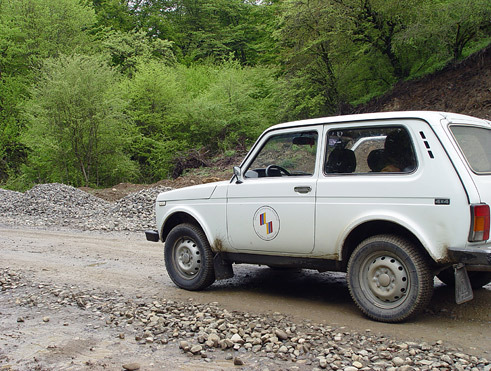 Previously war damaged narrow roads that were not accessible by vehicles, are now replaced by a state-of-the-art highway that meets international standards. 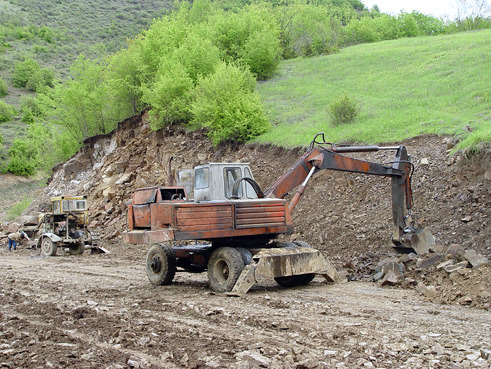 Among many other efforts to support the region, the provision of proper road infrastructure is what Karabakh’s economy is likely to rely on for years to come. North South Highway is a landmark project that embodies the united efforts of all Armenians around the globe. Every meter built towards the Backbone of Karabakh is a step towards core strength, mobility, vitality, and renewal. 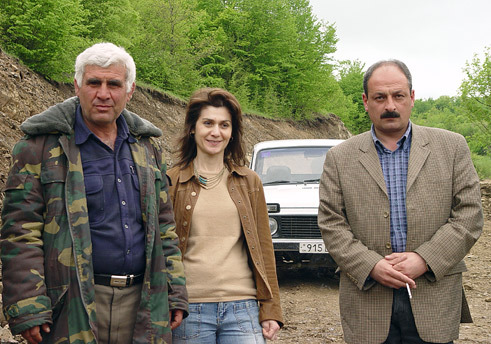 Join us in building the infrastructure upon which Karabakh’s future will be built.